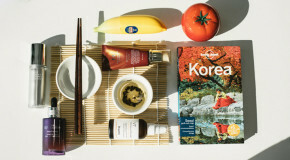 When it comes to body care in our twenties, most of us fall into two camps. There are those who employ only the bare necessities (shower gel, deodorant) without a thought to the future; after all, your skin is at its best at this time. Then there are those who adopt the practice of preventative skincare; keeping skin cleansed, exfoliated, hydrated and protected in order to maintain the smooth, toned limbs of our youth for as long as possible. If you’re guilty of the former then it’s time to up your game. Think of your twenties as a body care bootcamp; now’s the prime time to established a consistent routine in order to counteract the skin sins that come hand-in-hand with a young, carefree lifestyle. Applying the same skincare practices you use on your face to your body is a good place to start. We all know that regular exfoliation smooths and brightens the complexion, and the same applies to your limbs. 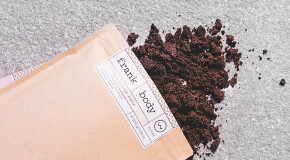 Employ a gentle scrub with just the right amount of grit (you don’t want to rub your skin raw) to remove the pore clogging dead skin cells that cause dullness, and stimulate skin in order to reinforce its firmness and encourage repair. Opt for an indulgent body exfoliant like Mario Badescu’s Raspberry Body Scrub, which suspends gently exfoliating particles within a rich, thick cream – ideal for buffing away dead, dry skin in the shower, and creating a smooth, even canvas for fake tan. Sun damage is skin’s number one ager – leading to wrinkles, discolouration, and uneven skintone; without proper protection, these first signs can show up as early as your twenties if you expose yourself to harmful UV rays on too regular a basis. A tan (no matter how subtle) is skin’s distress signal in reaction to the trauma of UV exposure, so it’s important to protect your limbs from harmful rays in order to prevent irreversible damage. 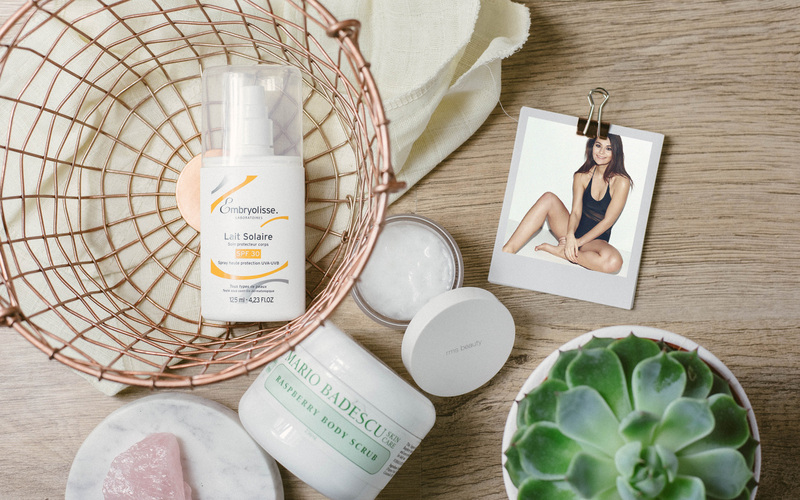 Layering up with an SPF like Embryolisse Lait Solaire Spray Protection for the Body will set you in good stead, but if you still covet the golden goddess limbs of a supermodel then faking it is the only way to tan skin without putting it at risk. St Tropez’s Gradual Tan Lotion turns limbs a subtle honeyed shade of brown, delivering a delicate colour upon application that slowly deepens to a naturally sun-kissed effect. In the future, splurging on a hydrator rich in complex active ingredients will be more than appropriate for aged skin, but in your youth, a low-tech lotion or cream is best. Keeping skin hydrated is the single most important factor in maintaining healthy skin so any basic emollient will help to prevent skin ageing and encourage skin repair. 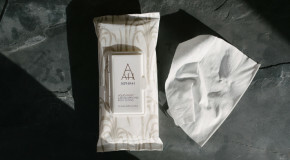 The best will absorb water from the air (for best results, apply in a steamy bathroom when your skin is still damp) and lock in moisture, nourishing skin with hydrating ingredients. RMS’s Raw Coconut Cream is as pure and simple as they come – a blend of raw, unrefined virgin coconut oil, rich in nourishing enzymes and ideal for even the most sensitive skintypes. Once warmed between the palms a little goes a long way – we love using it to target excessively dry areas (such as our elbows and knees) and adding a few drops of oil for an extra boost of hydration.